Our goal is to connect people with the best local experts. We scored plumbers on more than 25 variables across five categories, and analysed the results to give you a hand-picked list of the best plumbers in Santa Clarita, CA. Hallway Plumbing is a Newhall plumbing company. Highly trained and friendly technicians use the best equipment and finest materials for top-quality results on every job and handle repiping, slab leaks, drain cleaning, main sewer line cleaning, water heater service, garbage disposals, toilet repairs, and hydro jetting. Homeowners can also ask about the group's service for building waste-to-energy plants from household trash. Hallway Plumbing has helped the City of Santa Clarita with residential plumbing issues in the past, has worked with a number of local restaurants, and is a sponsor of the Santa Clarita Valley Food Pantry as well. The company's owner holds over 75 certifications and state licensing, the company is bonded and insured, and all work is guaranteed. Heys Plumbing is a family owned and operated business delivering high-quality and cost-effective plumbing services for residential and commercial properties in Valencia, California and the surrounding communities. Their team of fully licensed, insured, and bonded plumbing technicians are dedicated to providing the highest quality of work in every project they handle. 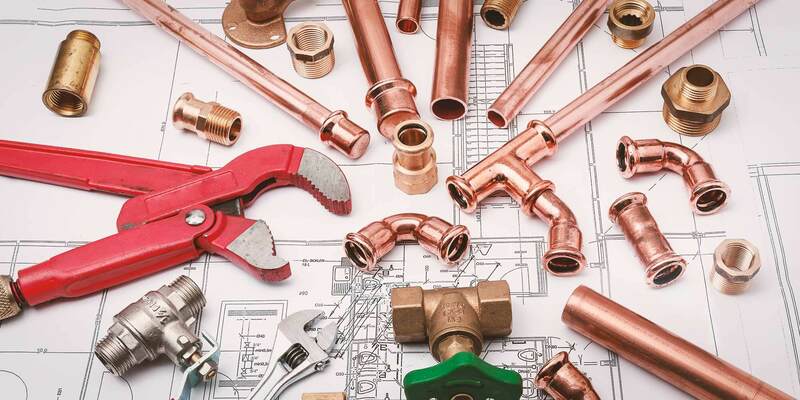 Their services include complete plumbing repair, remodeling, copper repiping, electronic leak detection, video sewer inspection, drain cleaning, and repair, replacement, and installation of water heaters. Heys Plumbing received an A+ rating from the Better Business Bureau and is highly rated on Yelp, Houzz, and Google. They are a long-standing member of the Santa Clarita Chamber of Commerce and the Valley Industrial Association of Santa Clarita. John Murray Plumbing is a professional plumbing contractor in Canyon Country, California that has been serving clients in the San Clarita Valley and surrounding metropolitan area since its founding in 1985. Family owned and operated, John Murray Plumbing offers a variety of services that includes general plumbing, sewer servicing, slab leaks, line reroutes, repiping, electronic leak detection, water heater installation, backflow testing, remodeling, and more. Additionally, the company employs an around-the-clock emergency service for clients' pressing plumbing needs. The company's twelve technicians have been with John Murray Plumbing for a minimum of five years each and arrive at clients' residences in uniform. Matthew’s Plumbing is a licensed, bonded, and insured business offering services for residential and commercial plumbing applications in Santa Clarita, California and the surrounding areas since 2008. They provide reliable and high-quality work to residents and business owners at affordable rates. Their services include drain cleaning, gas piping, repiping, slab leak repair, remodeling, and repair, replacement, and installation of bathroom and kitchen fixtures, garbage disposals, pressure regulators, and water heaters. Matthew’s Plumbing has an A+ rating with the Better Business Bureau and has been on Angie’s List for three years. They also have perfect scores on Google, Yelp, Facebook, and Smith. Prime Leak Detection is a plumbing company serving the community of Chatsworth. The group specializes in leak detection, locating hidden water and sewer leaks, and related plumbing needs for private homes, businesses, and buildings. Crews utilize state-of-the-art thermal imaging technology as well as infrared cameras to carefully inspect for leaks in walls, under concrete slab, and underground for fast location and repair. Plumbers focus on saving clients time and money with accurate and efficient service and can also perform sewer video inspections, and trenchless pipe replacement. Potential clients can read more about Prime Leak Detection's technology and methods on its site and can also review some helpful hints online regarding water usage, utility bills, and other issues. T Preisendorf Plumbing commits to providing Saugus-area customers with exceptional service at a fair price. The fully licensed plumbing business focuses on creating customized solutions to meet a range of individual customer needs. The business features a dedicated professional with extensive expertise in all areas of plumbing emergencies, general plumbing, pipe repairs, plumbing fixture installations, clogged drains, and more. He is trained and experienced to handle projects of all types from small repairs to large installations with the highest level of professionalism. Customers can trust T Preisendorf Plumbing to pay meticulous attention to detail and deliver highly effective solutions to any plumbing problem. The business also ensures customer systems run smoothly by designing regular maintenance programs. Clients appreciate the company’s extensive selection of fixtures that meet a range of personal tastes and budgets. The Plumbologist is located in Santa Clarita, California, providing a vast array of pluming services to the Los Angeles area from Long Beach to Santa Clarita and from Thousand Oaks and Westlake Village to Pasadena and Glendale. With over 30 years of experience and expertise, the company renders residential and commercial service and repair. Their services include plumbing services, drain cleaning, video inspection, smoke testing, sewer services, and commercial services. Using the highest quality tools of the trade, such as a video drain camera to detect the leaks and problem areas, the Plumbologist also conducts emergency procedures and its team of technichans are available 365 days a year, 7 days a week, 24 hours a day.